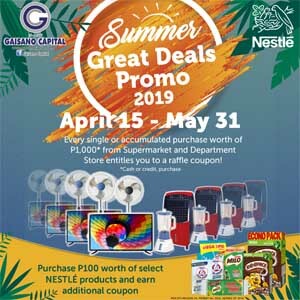 Promo runs from April 15 to May 31. See store posters for more details. **See store posters or visit the Customer Service counter for more details.